After many months of deliberation and confusion following the Dieselgate emissions scandal, it looks like an agreement between Volkswagen and the feds is near, as a Reuters Report cites German newspaper Die Welt, saying VW has agreed with U.S. authorities to pay each affected owner $5,000. Last month, we reported that a judge had given VW until April 21st to come up with a settlement for the 600,000 owners who bought their polluting cars. Well, that day is tomorrow, and it looks like they’ve got something, though it may not be a fix to the problem. Die Welt says their source, who is close to the negotiations between VW and U.S. Authorities, believes that VW and U.S. authorities have agreed to a $5,000 payout to all owners of vehicles affected by the Dieselgate emissions scandal, which involved VW engineers installing a defeat-device into their software to trick the EPA into thinking the cars were clean. The German newspaper says the agreement will be presented to Judge Charles Breyer in San Francisco on Thursday. Assuming this deal only applies to the nearly 600,000 affected diesel vehicles sold in the U.S., this means Volkswagen stands to lose about $3 billion from this settlement. And that doesn’t even account for all the other fines regulatory agencies around the world will impose on the company, nor does it account for lawsuits from investors and other groups. Die Welt said the agreement did not include a detailed plan to fix the affected cars...However, the owners of affected cars should receive $5,000 each in compensation and VW will separately have to pay to fix their vehicles, the paper said. So it looks like there’s at least some progress being made, which is good for VW, as they just need to plow through and get this all over with and behind them. A newer Reuters report based on info from two new sources claims that VW will likely tell the judge on Thursday that it’s willing to buy back 500,000 2.0-liter diesel models affected by this scandal. Volkswagen may also offer to repair polluting diesel vehicles if U.S. regulators approve the fix as workable at a future date, the sources said. But it is not certain if those vehicles will be deemed fixable by the U.S. Environmental Protection Agency. 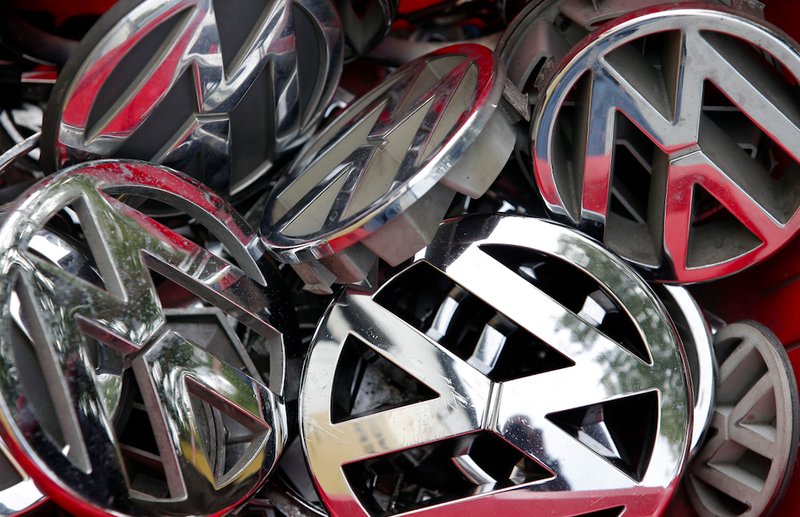 We’ve reached out to VW for clarification, as we’ve still got lots of questions. Would a buyback be in addition to the $5,000 compensation? How would VW determine the value of each vehicle when “buying back?” Are the 3.0-liter diesels included in all this? Reuters is at it again with yet another report. This time, they say the “framework deal” involves buying back 500,000 Jettas, Golfs and Audi A3s, and in addition, giving cash to buyers. VW will pay cash compensation to owners who either sell their vehicles back or get them fixed, a source briefed on the matter said. Owners selling back their vehicles will get an additional cash payment on top of receiving the estimated value of the vehicles from before the emissions scandal became public in September 2015. Total compensation, according to one source, is expected to exceed $1 billion on top of the cost of buying back the vehicles. The latest report also addresses 3.0-liter diesels found in larger VW, Audi and Porsche SUVs, saying that they are not included in the buyback, though no explanation why is given. It’s worth noting, though, that those are the most expensive vehicles affected by the scandal. Details are still murky, but we’ll update you as we learn more.